Baba Bag Company - Manufacturer of religious bags, non woven bags & printed paper bags since 2006 in Saharanpur, Uttar Pradesh. We are one of the largest Manufacturers and Suppliers of Religious Bags. These bags are made with high quality fabrics. The Religious Bags are finely stitched and finished. The carrying strap of these bags is quite wide, thus anyone can carry them with utmost comfort. 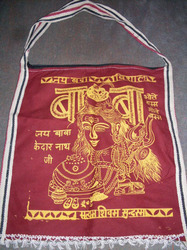 We provide these Religious Bags at very reasonable prices. Being a specialized Manufacturer & Supplier, Baba Bag Co. presents high quality Non Woven Bags. Made using high quality paper / non woven materials, our Non Woven Bags render life long performance. The Non Woven Bags are finely stitched and finished. Our Non Woven Bags are quite sturdy and can bear high loads. 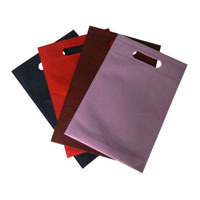 We make available these high quality Non Woven Bags at affordable rates. 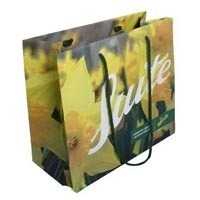 We are known as one of the eminent Printed Paper Bags Manufacturers and Suppliers, based in Uttar Pradesh. Made with the finest paper, our Printed Paper Bags are available in a wide collection that is attractive in designs and have vibrant color combinations. These Printed Paper Bags are eco-friendly in nature and thus are highly demanded by diverse industries, like Footwear, Garment, etc. 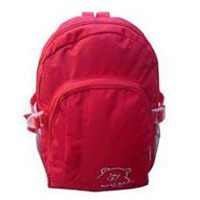 As the name suggests, Baba Bag Co. is one of the acknowledged Manufacturers & Suppliers of Kids School Bags. We deal in different kids of exquisite Kids School Bags. We use high quality materials like polymer fabrics, canvas, and nylon, to manufacture vibrant Kids School Bags, At Baba Bag Co., we have different designs, patterns, shapes, and colors to offer to the esteemed clients.